Super Denver Tech Center Location! Here's the perfect loft you've been waiting for with 10 foot high ceilings and an attractive open floorplan. A modern interactive kitchen is well appointed with all appliances included, abundant storage, a breakfast bar and access to your own balcony retreat. What a private, corner unit and it has as much natural lighting as one could hope for. This is an interior unit as well not facing DTC Blvd. A spacious master suite offers a walk-in closet, linen storage and ensuite bath. In-unit laundry with hookups makes this loft self-contained. Live where you work and play! What this location and condo offers is lifestyle and proximity to choice destinations for outdoor activities, shopping, eating and living life to it's fullest! Walk or bike to your favorite places. The Colorado Athletic Club, Landmark movie theaters, restaurants and so much more are literally just a few minutes away! 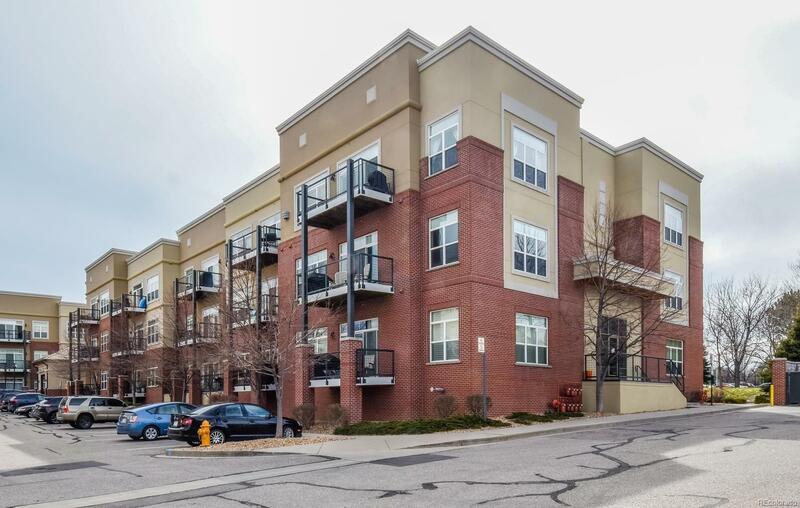 Close to Cherry Creek State Park and the Light Rail Orchard Station.